To work legally as a CNA in Chicago, you must enroll in a state-approved program, pass the state exam and register with the Illinois Nurse Aide Registry before you apply for employment. With a median yearly salary of $32, 083, Chicago CNAs earn slightly more than the national average. CNAs with special skills or advanced training make over $38,000 a year. However, before you consider the approved CNA training programs listed below to pursue certification, you must pass a drug, TB, and health screening. Do not choose this career option if you cannot pass a criminal background check. The CNA program at the International Career Institute (ICI) includes lectures and live demonstration in the classroom and real-world experiences in a long-term care facility to prepare students for a career in healthcare. Students learn how to perform nursing assistant procedures in a safe way, measure patients’ vital signs, assist with personal care, and monitor patients for critical changes. Graduates are eligible to take the Illinois State competency exam for certification. New cycles begin every quarter. Interested persons must have a valid social security card, submit to a criminal background check and drug test, provide proof of immunization and negative TB test, have a high school diploma or equivalent, and pass the admission assessment exam and a physical exam. There are three scheduling options available: weekend mornings (Saturday and Sunday), afternoon classes (Tuesday through Friday), and morning classes (Tuesday and Thursday). The average time to completion is 4 to 10 weeks based on the schedule. Tuition for the program is $650. Other expenses for registration, school identification, uniform, nursing kit, and practical lab fee will apply. Students must adhere to a strict attendance policy at TTI in order to graduate from the nursing aide program. The program includes 90 classroom hours and 45 clinical hours at a local nursing home. The combined theoretical and clinical training enables students to pass the Illinois state exam to become a Certified Nurse Aide. The total cost of $1,695 includes registration, tuition, books and the certification exam. Students need to allocate extra funds for uniforms, supplies, criminal background check and medical exams. 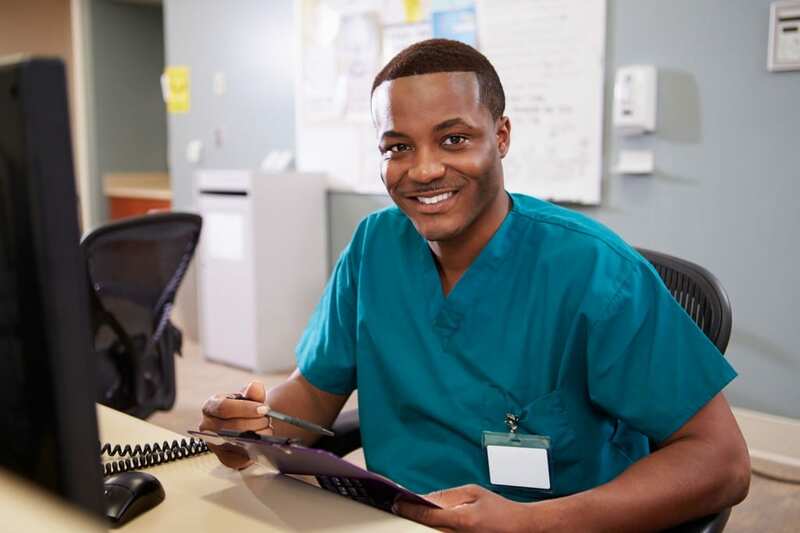 The basic nurse assistant program at CTCC provides students with the theoretical and clinical knowledge needed to fulfill the CNA requirements set forth by the Illinois Department of Public Health. With regular attendance, students can get on the fast-track and complete the 5-week course in less than four weeks. Facilitators use lectures, role play, and live demonstrations to teach basic principles in the classroom. Students then move on to a nursing facility to complete the clinical part of the training. Tuition costs $800, which includes the registration and lab fees. Students must purchase their textbooks, scrubs and other incidentals. The tuition does not cover the cost of the state exam fee, background checks and health screening. Chicago’s Pulse CPR Training, Inc. Admission into Chicago’s Pulse Basic Nursing Assistant Program depends on the outcome of an interview with the institute’s training coordinator. The program covers 40 classroom hours, 40 lab hours, 40 on-site clinical hours, and 4 hours of CPR training for a total 124 hours. To meet the requirements of enrollment, all students must complete the application, agree to the terms and conditions, and make the payment in full. Tuition costs $895 and does not include the $100 registration fee, $110 for the state exam, and $45 for textbooks. The state-approved Basic Nursing Assistant Training Program (CNA) at Midwestern Career College equips students with the skills to enter an entry-level position at nursing homes, hospitals, and other healthcare facilities. The program features 80 classroom hours and 40 clinical hours at a nursing home with an experienced instructor. Students must attend a mandatory orientation session before enrollment. The orientation covers school’s policies, physical exam, TB screening, chest X-ray, criminal background check, clinical requirements and attendance policies. Tuition costs $1,890 and financial aid may be available for low-income students. The length of the nurse assistant program depends on the schedule you choose: morning or evening classes. Classroom topics cover basic nursing skills, infection control, body anatomy, health care principles, and computer skills related to the healthcare industry. Clinical training takes place at a healthcare facility under the watchful eye of a course instructor. The course covers 120 contact hours at a rate of $6.63 per contact hour. The tuition amounts to $795 but registration, lab, and other miscellaneous fees raise the final cost to $1280.60 – not including textbooks and state exam fees. PFS’ nursing assistant training incorporates current healthcare industry trends to help graduates adapt to changing technology in the industry. Basic nursing skills will always be the primary feature of the program, but when combined with recent trends, advanced CPR training, and career development seminars, Phalanx graduates get a distinct advantage over graduates from other programs. Students are expected to complete 146 hours of training over an 8-week period. The contact hours include 106 classroom hours and 40 clinical hours. Training is free for economically challenged families. At 14 weeks long with 150 contact hours, the nursing aide program offered by the Polish American Association is one of the longest running state approved program. The comprehensive training covers basic nursing principles and clinical skills acquired through the 50 hours training at a nursing home or hospital. Tuition costs $795, which includes textbooks, criminal background check, and state exam fee. Residents of Illinois may qualify for state funding through the Illinois Department of Commerce and Economic Opportunity if they meet the income requirements. PCCTI’s nursing assistant curriculum prepares students for a health career under the supervision of a registered nurse. The program outlines basic nursing principles and equips students with the knowledge and clinical skills to succeed on the job. Upon completion of the program’s 120 hours, students can apply for and sit the state exam to obtain certification. Course fees include $995.00 for tuition, $100 for registration, $65 for SIUC testing Fee and extra funds for scrubs, stethoscope, white shoes, and the state exam fees. The Basic Nurse Assistant program at Nirvana Institute is appropriate for anyone seeking a career in health. Prospective RN or LPN students can enroll in the program to fulfill the requirements for nursing school. Taught by experienced registered nurse instructors, the program includes classroom training as well as clinical experiences in a long-term care facility. The IDPH, IBHE, NHA accredited program covers topics such as medical terminology, communications, vital signs, observation and reporting, laws and ethics, and basic nursing principles. The program is available on a morning or evening schedule. Daytime classes meet Monday through Thursday from 9:00 am to 1:30 pm; evening classes meet Monday through Thursday from 5:00 pm to 9:30 pm. Clinical session are on Friday or Saturday from 7:00 am to 3:30 pm. The class duration is 25 days. The total cost for tuition and registration is $850 and includes books and uniforms. Payment plans are available. Great Paragon prepares nurse assistant students to administer patient care as a vital member of the patient care team in hospitals, nursing homes, and home health care agencies. The state approved program includes classroom and clinical instruction to prepare students for the state certification exam and entry-level employment as a Certified Nurse Aide. Registration requires a social security card, high school diploma or GED, and state ID or driver’s license. The total amount for the tuition is $600 and includes the non-refundable registration fee of $100. Additional costs for the course textbook, uniforms, CPR card, and stethoscope must be added. The Basic Nursing Assistant course at the City College of Chicago is approved by the Illinois Department of Public Health. Students earn a certificate of completion that confirms their eligibility to take the state certification exam for CNAs. The curriculum introduces the discipline of nursing and approaches to patient care, concepts of caring for the whole person, caring for a multi-cultural society, nursing practice, and communication. The clinical component of the course helps students develop the essential skills to work in the health care industry as a CNA. Students earn 8 credit hours upon completion of the program. Norridge Gardens offer free nursing assistant training in the Greater Chicago Area. The work-school program requires students to work part time at Norridge Gardens until graduation. Thereafter, graduates will satisfactory grades will be eligible for full-time employment as a CNA. Interested persons should have a high school diploma or GED, professional references, be legal residents of the United States, assent to random drug testing, and pass a Health Care Worker Background Check. Once selected for the program, students must attend an interview and pass a pre-math test.